HONG KONG (Bloomberg) -- General Motors Co. said slowing growth in China won't prompt the company to revise its 2010 sales forecast. GM sales in China will exceed 2 million vehicles this year, said Kevin Wale, president of the company's China operations, reiterating an earlier projection. Carmakers will sell a combined 15.5 million vehicles in China in 2010, he said. China's monthly car-sales growth slowed in April to the lowest level since March 2009 amid rising consumer and property prices. Sales of cars, sport-utility vehicles and multipurpose vehicles increased 33 percent to 1.11 million from a year earlier, compared with a 63 percent jump in March, the China Association of Automobile Manufacturers said on May 10. China, which overtook the U.S. as the world's biggest auto market last year, has become GM's largest market. The carmaker aims to sell 3 million vehicles a year in China by 2015. It plans to introduce 25 new or updated models in the country by the end of 2011. In April, GM sold 213,115 vehicles in China. The company and its ventures sold 1.83 million vehicles in the country last year. The Chinese car market is “stabilizing, it's not continuing to grow at the rapid rate” of last year, Wale said. 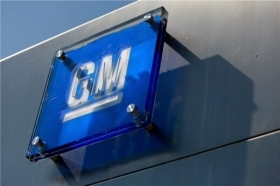 “It's going to be a good year for the industry, and a good year for General Motors” in China.